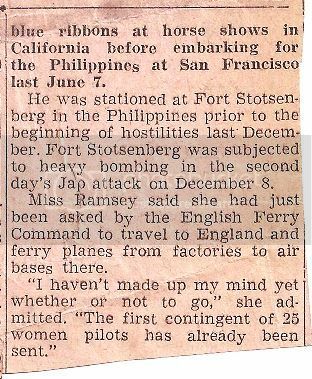 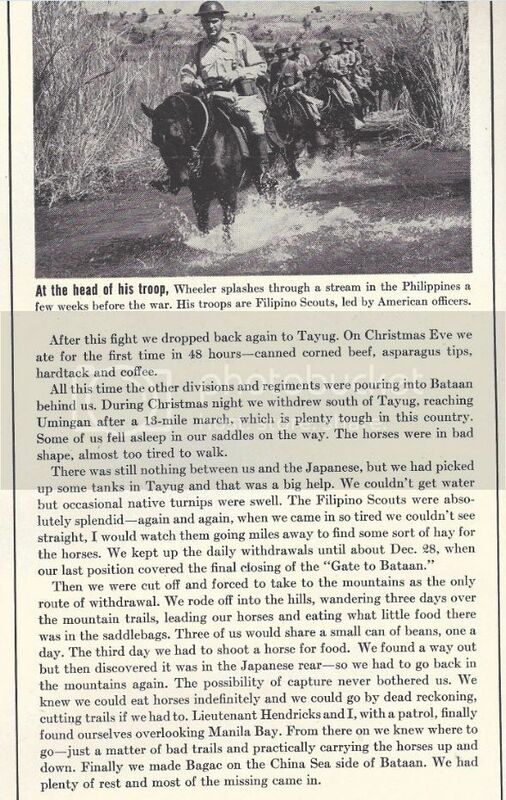 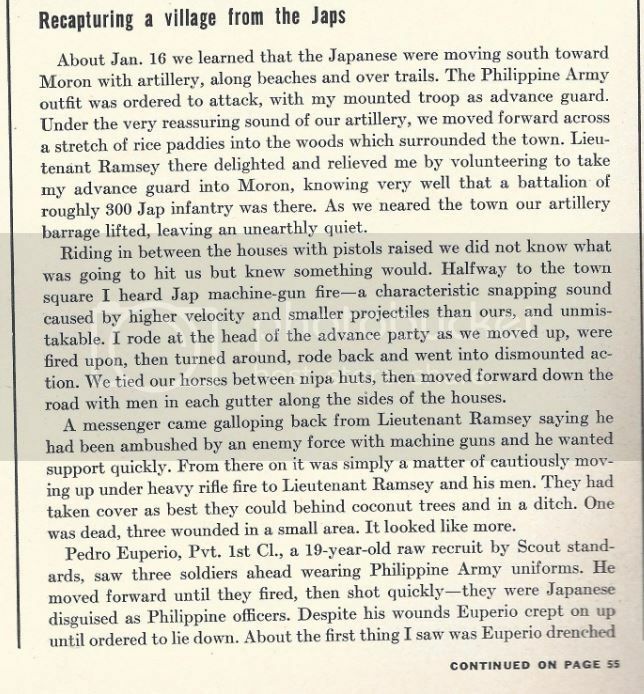 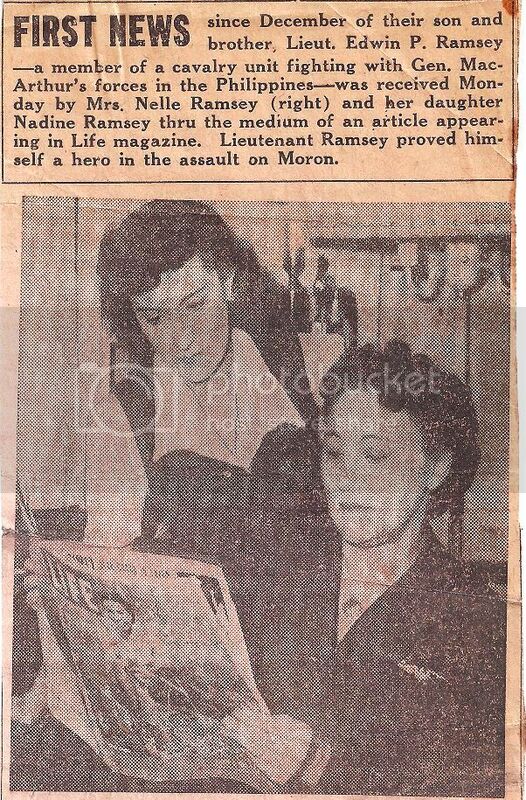 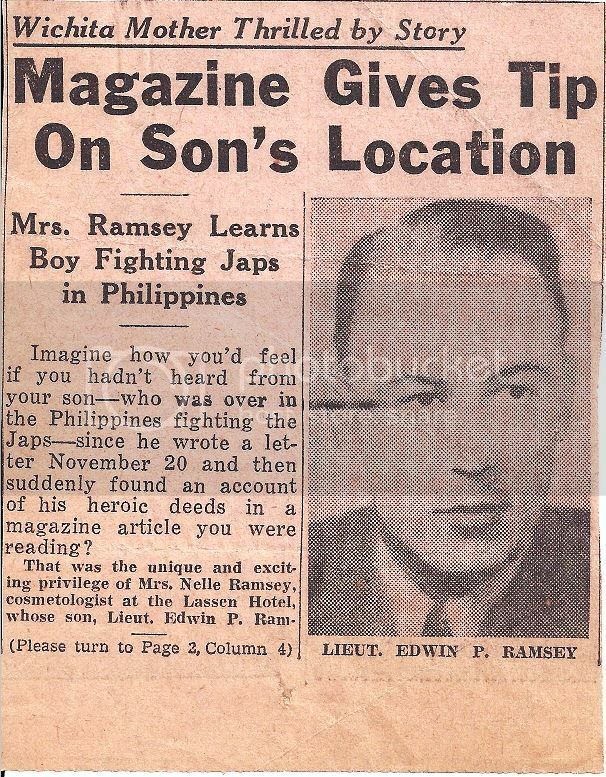 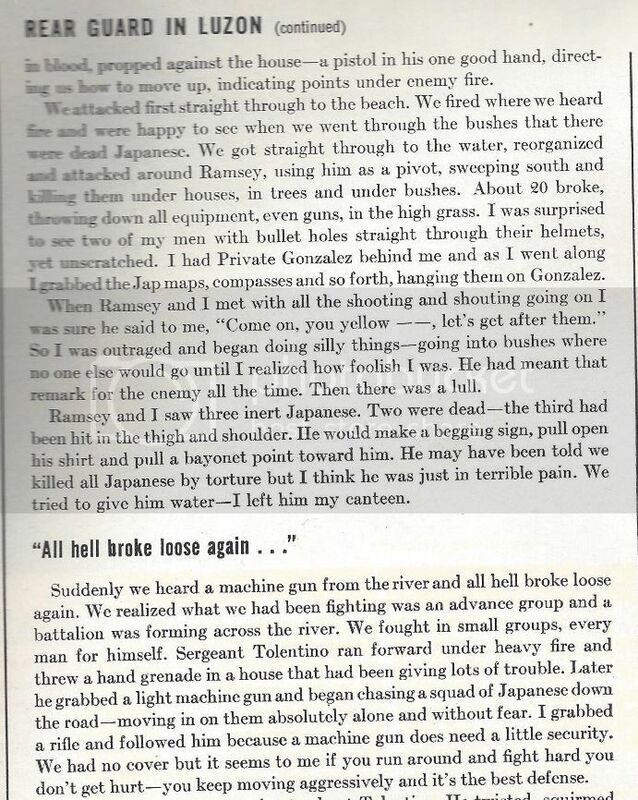 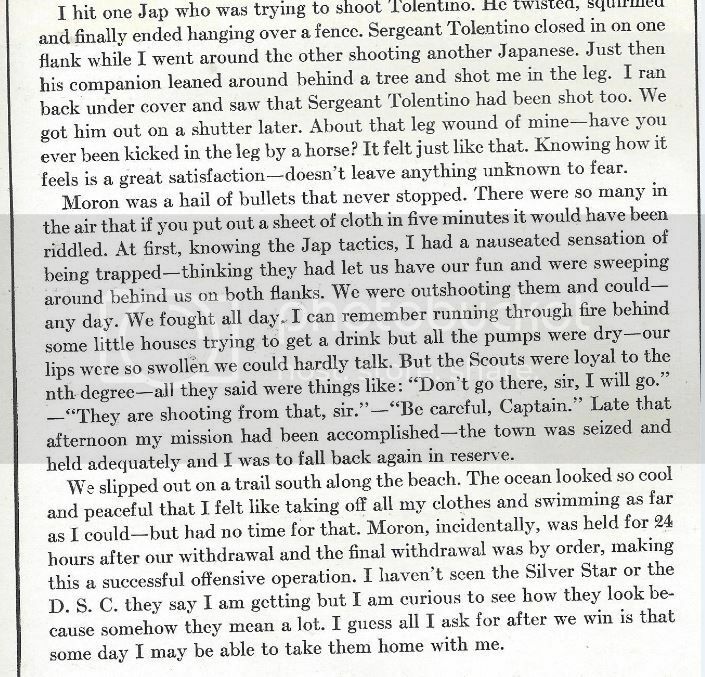 Ed Ramsey's mother found out that he was alive and still fighting in Bataan when she read the March, 1942 issue of LIFE Magazine. 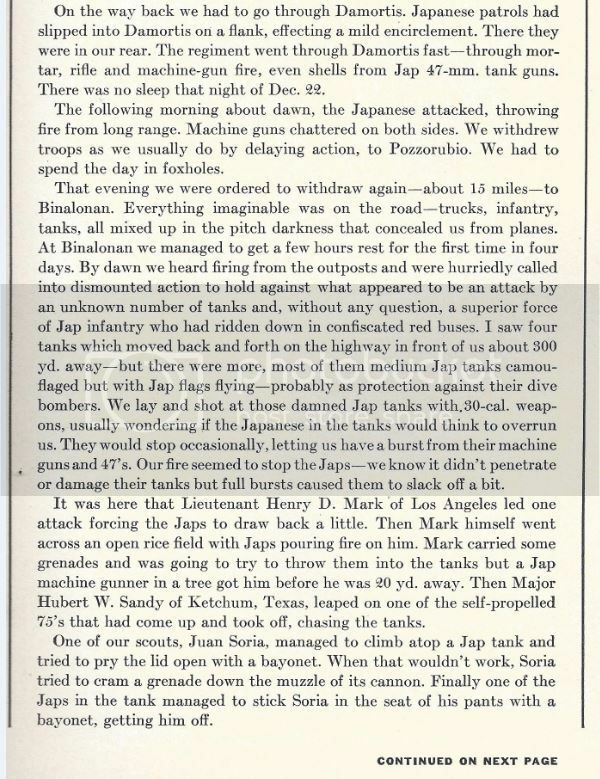 There was an article from Capt. 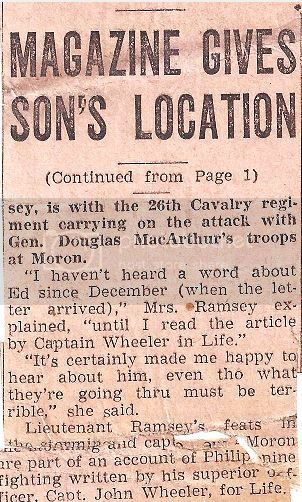 Wheeler of the 26th Cavalry. 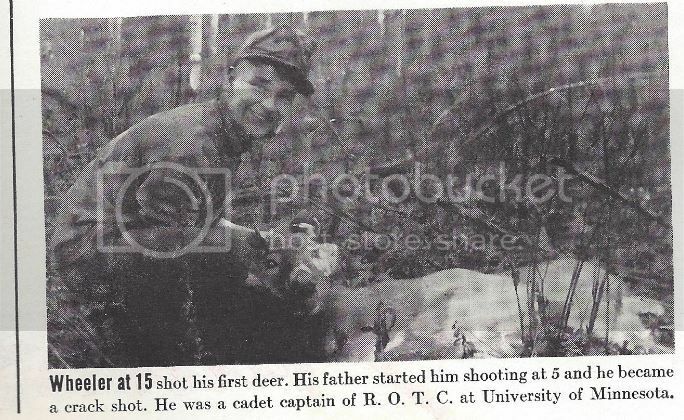 Sadly Capt. 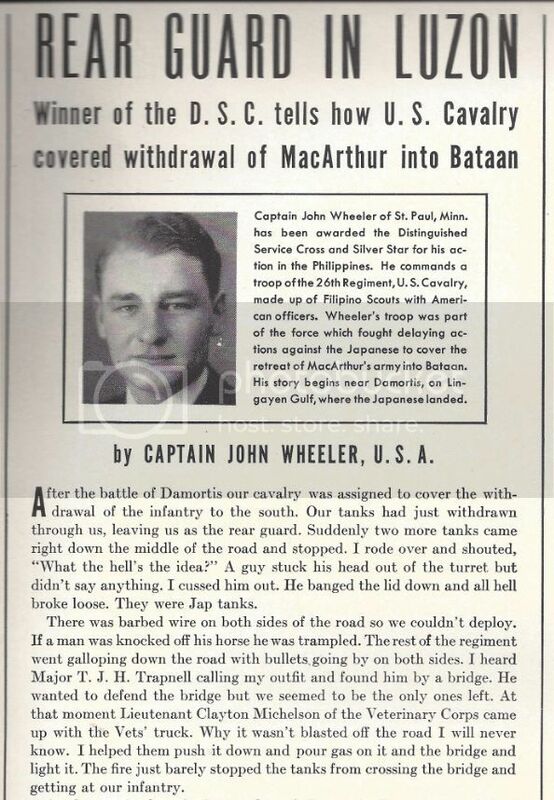 Wheeler did not survive the war.